Donated to the Trustees of the University of Pennsylvania by Anthony N.B. Garvan in 1988 and Beatrice B. Garvan in 1992 and 1993. The University of Pennsylvania Archives and Records Center gratefully acknowledges the Colonial Dames of America, Chapter II, whose annual gifts to the scholarship fund of the University Archives generously supported the arrangement, description, and cataloging of this collection. 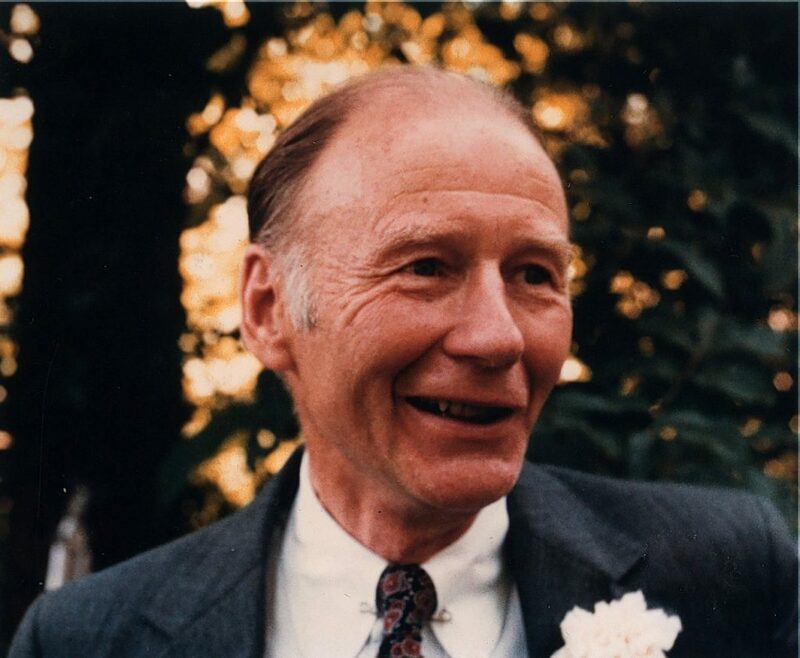 The papers of Anthony Nicholas Brady Garvan, Professor of American Civilization at the University of Pennsylvania, 1960-1987, are organized into two series. Professional Papers, 1944-1992 and Personal Papers, 1926-1992. The Professional papers are further divided into fifteen sub-series. They include: Vitae, 1946-1977 (1 file folder); Correspondence, 1944-1987 (10 cubic ft.); Academic Papers, 1944-1987 (11 cubic ft.); Administrative Papers, 1945-1984 (7 cubic ft.); Projects, 1950-1988 (6 cubic ft); Churches, 1963-1978 (1/3 cubic ft.); Libraries and Archives, 1961-1987 (2 cubic ft); Museums, 1960-1984 (5 1/4 cubic ft.); University, Colleges, and Schools, 1950-1978 (2 cubic ft.); Professional Organizations, 1948-1976 (2 cubic ft.); Membership Committees, 1944-1980 (2 cubic ft.); Writings and Articles 1948-1983 (5 cubic ft.); Papers and Talks, 1950-1983 (1 cubic ft.); Photographs, 1939-1976 (1 cubic ft); Diploma, 1942 (Map Case); Plans and Drawings, 1962-1985 (116 drawings in the map case). The Personal Papers are divided into eleven sub-series comprising Correspondence, 1937-1989 (2 cubic ft); Collections, 1955-1993 (1 1/2 cubic ft); Children, 1967-1980 (1/2 cubic ft); Children’s Education, 1961-1974 (1/2 cubic ft); Education, 1929-1948 (1/4 cubic ft); Hunting and Dogs, 1937-1981 (1/4 cubic ft); Travel 1950-1985 (3/4 cubic ft); Articles and Papers and Newspapers, 1947-1987 (1/3 cubic ft); Finances, 1948-1988, (1/3 cubic ft.); Legal, 1933-1976 (1/3 cubic ft.); Military Service, 1943-1946 (1/8 cubic ft); Real Estate, 1948-1981 (1/4 cubic ft.); Certificates, 1940-1952 (1/16 cubic ft); Audio, 1986-1988 (1 cubic ft); Publications, 1946-1968; and Bibliocards, 1971-1972 (1/4 cubic ft.). Arrangement within each of the sub-series is alphabetical. An additional gift of professional and personal papers, correspondence, photographs, and negatives, 1928-1980 (2 cubic feet) completes the collection. Anthony Nicholas Brady Garvan was born on October 4, 1917 in Kamp Kill Kare, his family home at Raquette Lake, New York, to Francis Patrick Garvan and Mabel Brady Garvan. Garvan was a graduate of Hotchkiss School in 1935. He received his B.A. in 1939 and an M.A. in 1942 from Yale University. A Ph.D was awarded from Yale in 1948. Service in World War II both interrupted and fueled Garvan’s academic pursuits. In 1943, Garvan enlisted and served with the Office of Strategic Service. Assigned to the Research and Analysis Division, and stationed at Yale, Garvan wrote manuals for U.S. agents sent behind enemy lines. Working for the OSS gave Garvan his introduction to the Human Relations Area File. HRAF, a tool for cross-cultural study developed by George Murdock, offered a model for Garvan’s later development of the Index of American Culture. From 1944-1946, Garvan served with the Navy in the Pacific. While assigned to a communications craft in Philippines, Garvan grew interested in role of a Catholic church as an artifact in the Spanish colonization of the Island of Samar. Garvan’s early cultural studies of artifact and architecture were the foundations for his lifelong contributions to the anthropology of industrial societies. Garvan became Assistant Professor of history at Bard College in 1946 and taught there until 1949. From 1949-1950, Garvan was a Rockefeller Foundation Fellow. In 1950 Garvan came to the University of Pennsylvania in the capacity of Fellow in American Civilization. He was appointed Assistant Professor in American Civilization in 1951. Garvan became Associate Professor in 1956, and in 1960 was appointed the first Professor in American Civilization and Department Chair at the University of Pennsylvania. Garvan’s contributions to the University of Pennsylvania included the pioneering of a masters degree program in Museum Studies. He was active in planning for the future of the American Civilization Department, through the inception of the American Civilization Advisory Committee, and for the University, in his participation in Program for the Eighties. Several of Garvan’s projects, like the Index of American Cultures, and the Historical Salvage Council, offered academic training and jobs for students of American Civilization. The Index of American Cultures was a research tool developed and directed by Garvan, begun in 1953. The Index, modeled from Murdock’s HRAF, is available for use at the Henry F. DuPont Winterthur Museum library. As the director of the Historical Salvage Council from 1967-1968, Garvan selected a series of study sites in a section of Fishtown, Philadelphia. Blocks of Fishtown were scheduled for demolition for the construction of Interstate 95. The Historical Salvage Council used sites scheduled for demolition to conduct an archaeological study. Through the project, Garvan afforded students of historic archaeology the opportunity to practice their discipline in close proximity to the University, and in an area rich with historic documentation and context. Garvan’s book, Architecture and Town Planning in Colonial Connecticut won the medal of the Society of Architectural Historians in 1951. In his book, Garvan used the physicality of the Connecticut town as artifacts through which to decipher culture. As in his earlier study of the Philippine Church on Samar, Garvan’s interest was in the process of colonization. The Connecticut town, modeled from the English town system and modified by Puritan theology, provided Garvan with a framework through which to examine religious conflicts, environmental impact, and colonization. Reading evidence of cultural transmission through artifacts, and comparative culture studies that accounted for factors of time and space, were the hallmark of Garvan’s intellectual pursuits. Anthony Nicholas Brady Garvan’s scholarly concern for American material culture and decorative arts may derive from his parents’ extensive collection of furniture, paintings, prints, delft tile, glass, ceramics, and silver. A great deal of the Garvan decorative arts now resides in the Mabel Brady Garvan Collection, given to Yale University in 1930 by Francis Patrick Garvan. His professional contributions extended beyond the University of Pennsylvania to an array of prestigious schools and organizations. Garvan held the position of lecturer at the Henry F. DuPont Winterthur Museum from 1953-1957. He was the Head Curator of the Department of Civil History and at the Growth of the United States Exhibit Hall of the Smithsonian Institution from 1957-1960, and he was an advisor to the National Portrait Gallery from 1961-1962. Assistance with programs and exhibits in famous institutions like the Philadelphia Museum of Art, and small or newly formed museums was an area of continuing contribution by Garvan. Garvan joined the board of the Library Company of Philadelphia in 1956 and served as its President from 1986 until his death. He became a member of the advisory board for the National Trust for Historic Preservation in 1971, and Chairman of the Preservation League of New York in 1983. His role as a member of the Philadelphia Bicentennial Corporation Historic Committee and Council from 1968-1971 made him a central figure in the planning and orchestration of the Nation’s 200th birthday celebrations. Contributing to the general domain of his field, Garvan served as the editor of the American Quarterly from 1951-1957. He was a member of the Pennsylvania Committee for Public Problems of the Humanities, National Endowment for the Humanities in the early 1970s. A more complete list of Garvan’s contributions and accomplishments is found listed on his vita. He married Jane Nicomedus in 1940. Their children are Mary Jane, Kathleen Anne, Virginia Brady, Frances Courtney, Anthony Nicholas Brady, Nichola, Christine, and Margaret Blacke. In 1969 Garvan married Beatrice Bronson Lippincott. His second marriage was a personal and professional partnership. The Garvan team taught classes are well remembered by students of material culture. Garvan died at his home on January 10, 1992 at the age of 74. The Anthony Nicholas Brady Garvan Papers, 1926-1993, primarily document the professional and academic activities of Garvan, with the addition of a small grouping of personal papers relating to his children, and interests in hunting and travel. The bulk of the collection begins in the year 1944, prior to Garvan’s arrival at the University of Pennsylvania. Some of the early correspondence, such as the Spiller letters, document the history of the Department of American Civilization. The Professional Correspondence files contain documents, most of which were written during Garvan’s tenure as Department Chair. It should be noted that some correspondence in this series could be considered either professional or personal in nature. Letters between Garvan and Harold Hochschild are exemplary of the overlap of professional and personal interchanges characteristic of this collection. Hochschild and Garvan shared interests in the art and architecture of the Adirondacks. Garvan wrote An Adirondack Winter: Ten Paintings by Jonas Lie, an Adirondack Museum Catalogue, 1971, for works his family donated to a museum founded by the Hochschilds. Hochschild contributed to Garvan’s academic pursuits by establishing the Hochschild Fund for the American Civilization Department. The intertwining of professional and personal interests and friendships is common throughout his Papers. Professional Correspondence includes organizations, individuals with whom Garvan had significant or a great deal of exchange, and projects. His principal correspondents are Harold Hochschild (1892-1981), Murray Murphey (b.1928), and Vartan Gregorian (b.1934). Academic Papers include rosters of students enrolled and lecture notes. Most of the material in this series pertains to courses taught by Garvan. Also included are course reading lists, slide lists, reprints of documents taught, lists of graded course work, research papers, and requests for letters of recommendation. Complementing the Academic Papers are two years of recorded lectures on cassettes, and found in the sub-series, Audio. The Administrative Papers include documents relevant to Garvan’s role of Department Chair, participation in University committee work, and the administration of funds and scholarships in American Civilization. A good deal of this collection is devoted to Garvan’s projects, which document the different subject matter that became the focus of his exploration of cultural transmission through time and space in industrial America. Projects span three decades of interests ranging from the inception of the Index of American Cultures in the early 1950s, the direction of the Historical Salvage Council in the late 1960s, and historic preservation in the early 1980s. This sub-series is complemented by Plans and Drawings, most of which contains architectural renderings of sites selected by Garvan for the Historical Salvage Council. Photographs recording the architectural features and the physical neighborhoods of blocks Philadelphia which were destroyed in the construction of Interstate 95 may be of interest to users of this part of the collection. The Libraries and Archives sub-series include organizations that Garvan served in a professional capacity, either as a board member as in the case of the Library Company of Philadelphia, or as a consultant for institutions such as Eleutherian Mills. There is a file labeled Van Pelt containing exhibit labels for a display, erected at the Van Pelt Library, of early scientific instruments representing a scholarly interest and his personal collection of artifacts. The Museum sub-series contains files documenting institutions for which Garvan advised or curated exhibits, selected as placement sites for student interns, or found as sources of professional interest. The Plans and Drawings series is complementary for the Smithsonian documents. Several of the exhibit designs of the Growth of the United States are located in the Map Case. Writings and Articles, and Talks and Papers, are notes and drafts of some of Garvan’s work. The Collections sub-series begins with Dealers and Catalogs. Mostly ephemera, this portion of the collection enumerates the objects that interested Garvan, and the contacts he maintained as a collector and curator of cultural artifacts. There are documents relevant to the Francis P. Garvan papers and ANB Garvan’s selection of the University of Wyoming at Laramie as a repository for his father’s papers, Mabel Brady Garvan relating to donations of decorative arts at the end of Mrs. Garvan’s life, and the Garvan family’s commitment to the curatorial and financial responsibilities of their collection at Yale. The Children’s Education sub-series partially relates to Garvan’s work on the board of the Germantown Academy from 1965-1974. Garvan’s strong personal interest in hunting and dogs is also reflected in the collection. Most of the documents in this sub-series involve concerns about breeding dogs or administrative responsibilities pertaining to hunting clubs. A catalog of Garvan’s hunting memorabilia auctioned at Chritsties’ in 1993 is included in the Collections sub-series. The Real Estate sub-series contains files about Kamp Kill Kare. Kamp Kill Kare is referred to in Garvan’s work with the Preservation League of New York, which is found in a group of files located in the sub-series of Projects under Historic Preservation. References to the Kamp also appear in the Finances series. Historical Salvage Council (Philadelphia, Pa.). Smithsonian Institution Building (Washington, D.C.). University of Pennsylvania. Dept. of American Civilization. Maps of Connecticut and North Carolina, 18th c.
AD 2 Philadelphia: Front St. AD 3 Philadelphia: 2nd St. AD 4 Philadelphia: 3rd and 4th Sts. AD 5 Philadelphia: High St. and Chestnut St. AD 6 Philadelphia: Southwark and Chestnut St.
Buddhist Temples in Japan, Byçdç-In (in Japonese). With Card from student, Fumi Takano, 1965. Charles F. Hummel, With Hammer in Hand, The Dominy Craftsmen of East Hampton, New York (Charlottesville, 1968). Inscribed by author to Garvan. Life in America, A Special Loan Exhibition of Paintings Held During the Period of the New York World’s Fair April 24 to October 29 (New York, 1939). Annotated by Garvan. A Report on the Tenth Session of the Committee helt at Geneva, Permanent Committee on Road Traffic, Advisory and Technical Committee for Communications and Transit, League of Nations, 26 December 1935. Elizabeth Ingerman Wood, Report on Project History Retrieval, Tests and Demonstrations of an Optic-Coincidence System of Information Retrieval for Historial Materials (Philadelphia, circa 1967).